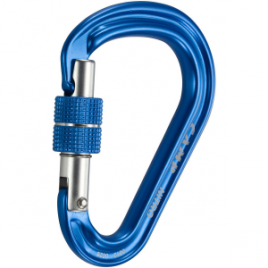 The HMS Nitro Lock Carabiner is Camp USA’s lightest belay carabiner for climbers. I-Beam construction removes as much weight as possible without hindering the carabiner’s strength. The screw gate slides smoothly, and the keylock nose prevents any snagging.